Google is imbuing the Street View app with some clever new features in its latest update. 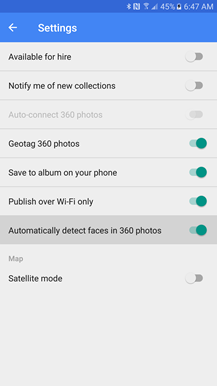 This version adds automatic face detection for 360 photos for quick blurring, groups together unpublished 360 photos by place or time, and adds a share link to user profiles. Additionally, a teardown shows that there's a new feature on the way that will clue in ambitious users about nearby places that should be photographed. Unpublished 360 photos will now group together based on place or time. Automatically detect faces for blurs in 360 photos. You can now share links to user profiles. Lots of feature improvements and bug fixes. If you're out there getting 360 photos fairly regularly, any kind of automation is great for speeding up the post processing before they get posted. 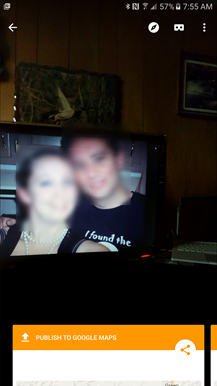 Back in June, a handy blur tool was added to make it easier to obscure people, license plates, and other sensitive information. A teardown of the following update revealed that the developers were working on automatic face detection to make the blur tool even faster, and it's now live in the latest version. 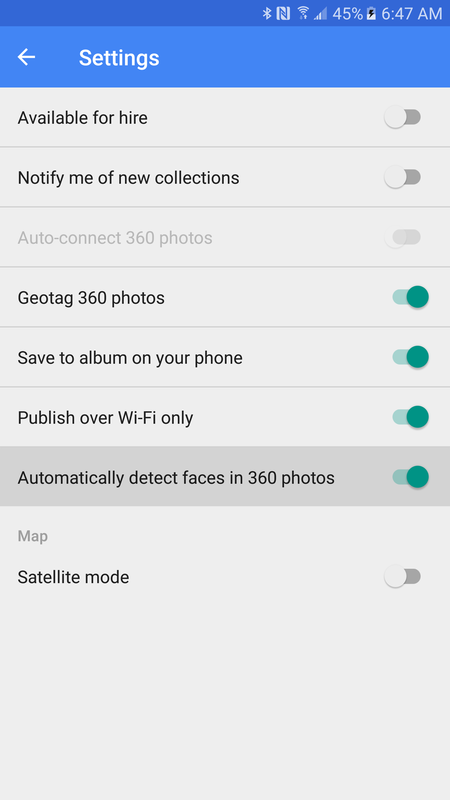 To turn on the automated tool, just pop open the Settings screen and turn on the switch titled "Automatically detect faces in 360 photos." Alternatively, you can leave that disabled and run the detection algorithm manually from the overflow menu while you're looking at a 360 photo. Any faces found in the image will get blur boxes placed over them. Finally, open the overflow menu and apply the blur. 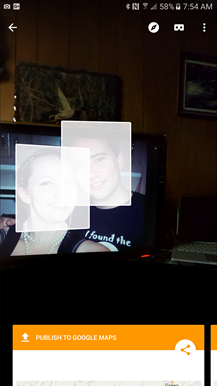 After a couple of quick tests, the face detection seems to occasionally skip faces or offset the boxes off to the side of some faces, but it works well enough and it's not too hard to fix the mistakes. It's certainly a helpful tool. Over the last few months, Google Maps has started popping up notifications when it detects users are near places where contributions are needed or a photo of a location is expected to receive above average view counts. The strategy is probably working because there's a similar feature slated to appear in the Street View app at some point in the future. This one will be titled "Nearby opportunities" and focuses on places that "need photography." The phrasing could probably use a little work, but the concept is certainly sound. A notification appears when users are in popular and well-trafficked locations where there are little or no existing photos. Given that this is the Street View app, the intent is surely aimed at driving up the number of 360 photos. Judging by the plurals and one of the strings, locations may even get ranked and shown with the estimated views a shot is likely to earn each day. After the last section, this one was fairly inevitable. Google is planning a new screen that will show a user's stats, which currently seems to include just a tally of view counts. We'll probably see more statistics added in the future, like total number of posted photos, how many places you've visited, etc. Racking up a high view count has become a bit of a bragging right among active members of the Local Guides program, so it's probably going to see some success through Street View, as well. It's not clear if the totals will be combined or recorded separately.